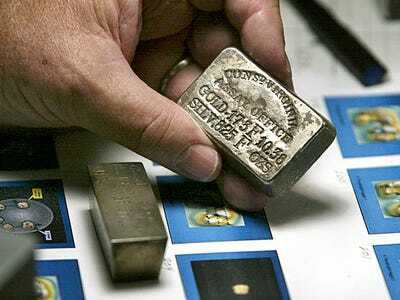 Morgan Stanley is looking for silver to average $35 in 2012, and $42 next year, with gold to average $2,175 in 2013. While we are also bullish and both gold and silver, if both metals make a bullish move over the next year and a half, expect silver to outperform and narrow from its current 50:1 ratio with gold. Morgan Stanley's predictions for rallies in both metals with the silver/ gold ratio staying at 52:1 is unlikely in The Doc's opinion.